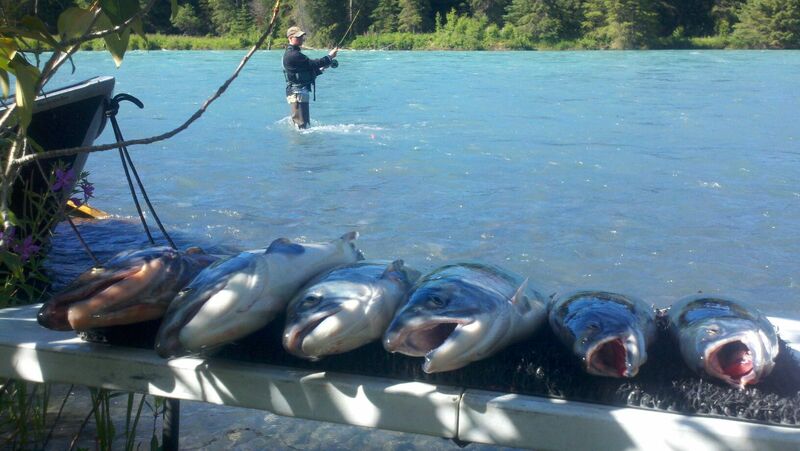 As of now we are looking at 704,347 Sockeye Salmon in the Kenai River drainage. At this point that is a little over 200,000 more then we had in the system this time last year. Yesterday we saw 214,410 come in the river and 246,396 the day before. Needless to say, the fishing is picking up out there nicely and will only continue to improve. 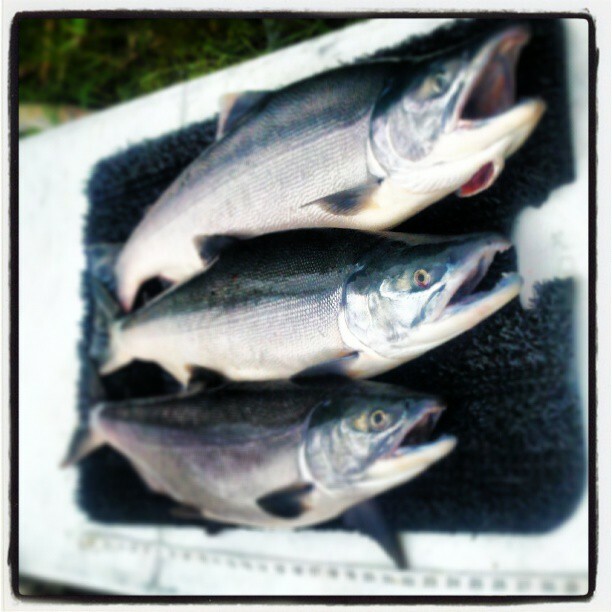 If Sockeye is on your mind then now is the time! Remember Outfitters are booking up quickly so if a guide is something that is of interests to you, give a call! 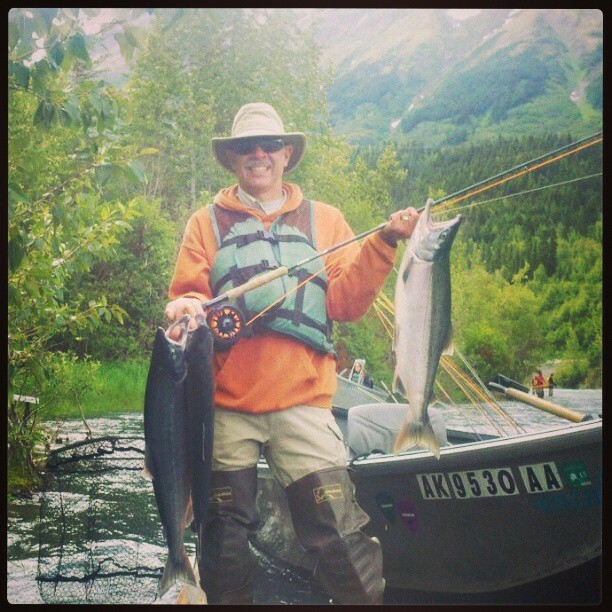 This entry was posted in River Report and tagged Alaska, fishing, Fly fishing, Kenai, Salmon, Sockeye on July 18, 2013 by jenharpe. 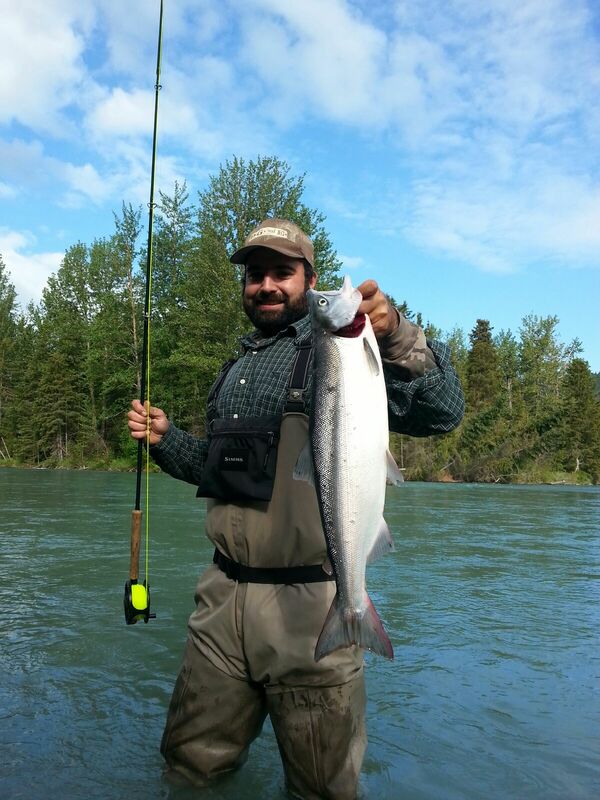 Great Sockeye Salmon caught by Bret Curry on a fly rod. I love to fish… It’s a passion, hobby, habit and if I’m rigorously honest…an addiction! Each trip to the water brings the wonderment and uncertainty of catch. Each angling moment provides a rewarding spiritual connectivity to something larger than life. Could be a “hunter & gatherer” component in my DNA. May be because fishing is my primary safe harbor from the daily grind and rat race. Whatever the case, I’m so blessed to have opportunities to fish dozens of days per year…and mainly with a fly rod. 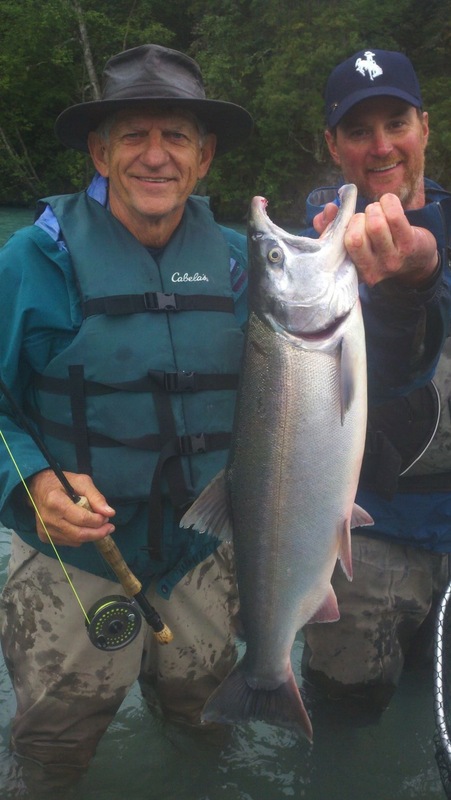 I recently added a new geographical location to my fly-fishing experiences. This time in Alaska! 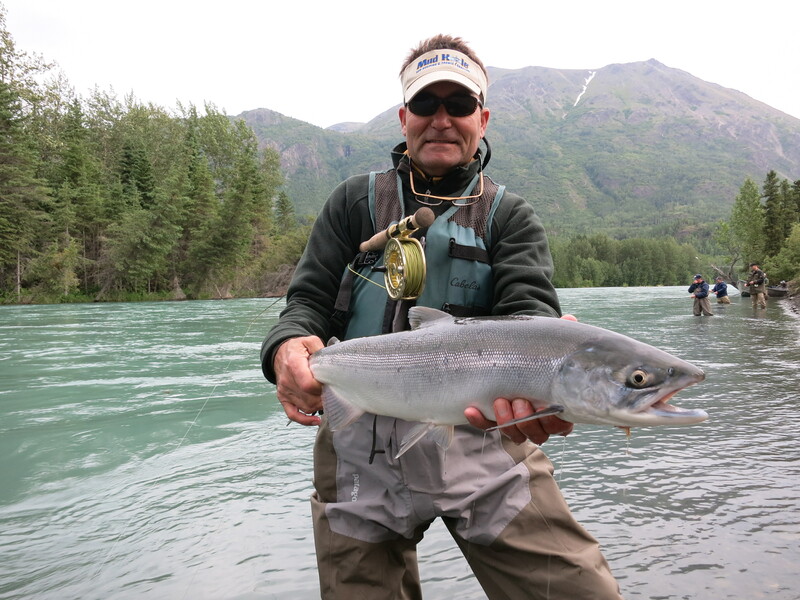 If you are an individual with fly-fishing in your blood you have got to experience a grappling sockeye salmon who’s mission is to spawn…not to be caught. 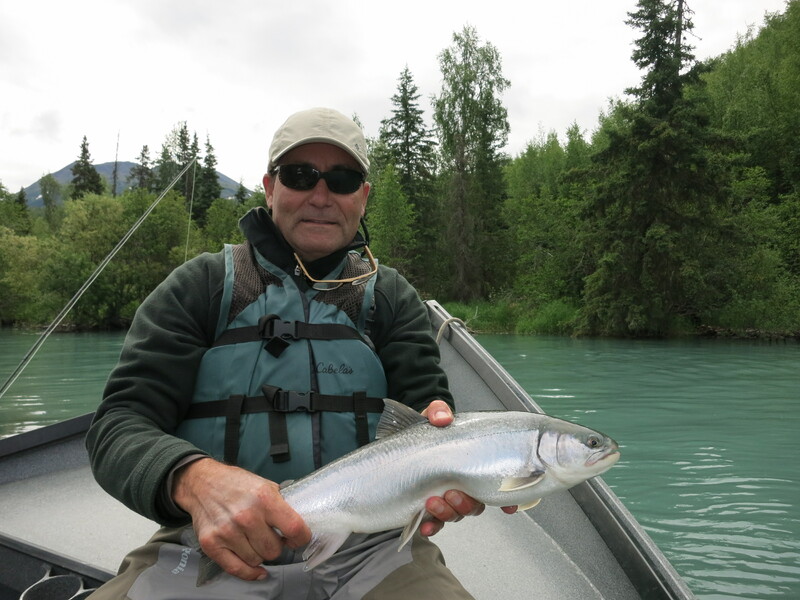 If the thought of angling a pit-bull on the end of your fly-line gets your juices flowing, then give Jen a call at Kenai River Fly Fishing. After hours of pre-trip online research and local referrals my choice was KRFF. And boy did I make the right decision. Jen paired me up with T.J., Master and Professional Guide. Simply put, T.J. is the man! And a consummate host! Clearly an accomplished fisherman himself, he put me onto the fish in no time. His refinement tips were courteously delivered and produced results. He’s a master with the drift-boat and very safety-conscience. Not only did we net several sockeyes, we landed Rainbow and Dolly Varden as well. An often-used word in Cajun country is “lagniappe” which means a little something extra. And how Alaska provides those bonuses. We saw bear, moose and eagles galore. 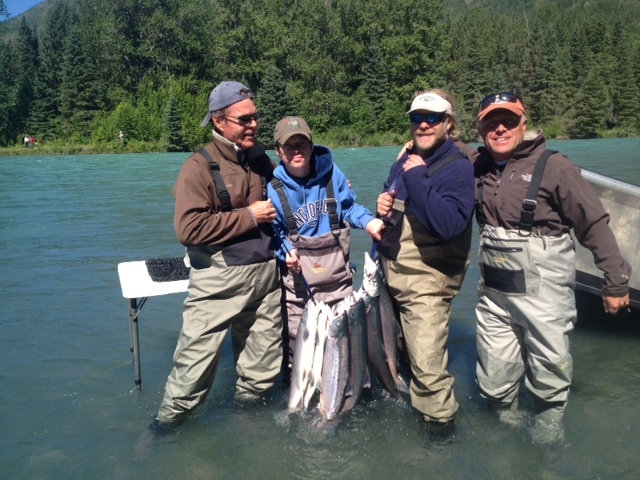 T.J.’s keen eye and sharing the experience was icing on the cake. So if you are bug-eyed from perusing the Internet for the right guide service, simply give KRFF a call. Oh yea, be sure to include the “canyon” float into your schedule, you won’t be sorry. TJ safely guiding them across Skilak Lake, beautiful way to end a great trip. 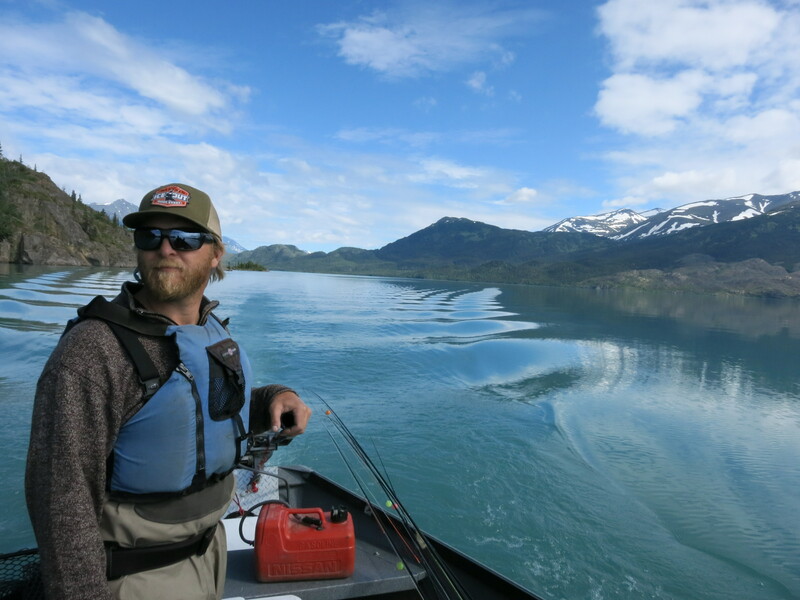 Bret Curry with a resident Dolly Varden. Being out on the water the last few days we have continued to have luck with fishing Trout and Dollies as well as catching some of the early second run of Sockeye that is trickling in. 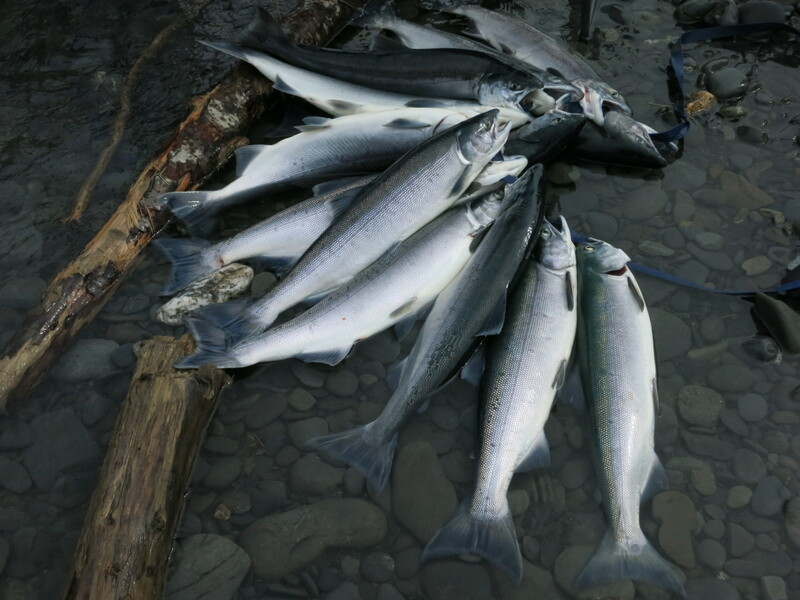 We have seen 49,8979 Sockeye come into the drainage so far which as of now is 7,000 more then this time last year. Traditionally we tend to see a distinct shut off of Sockeye Salmon between the first and the second run, but not this year. 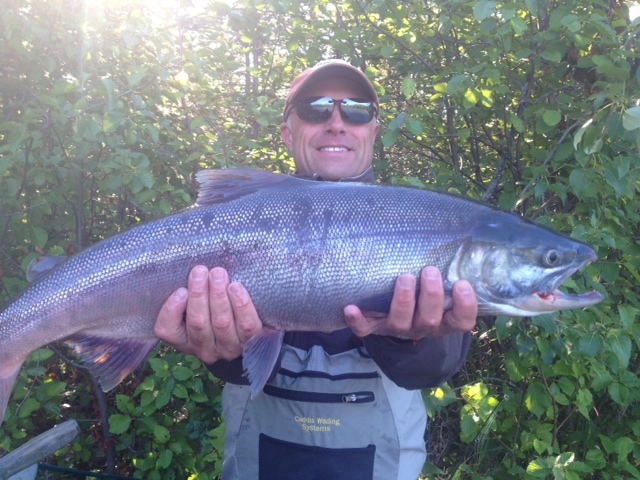 Anglers have had the luck of being out there “between runs” with decent success! 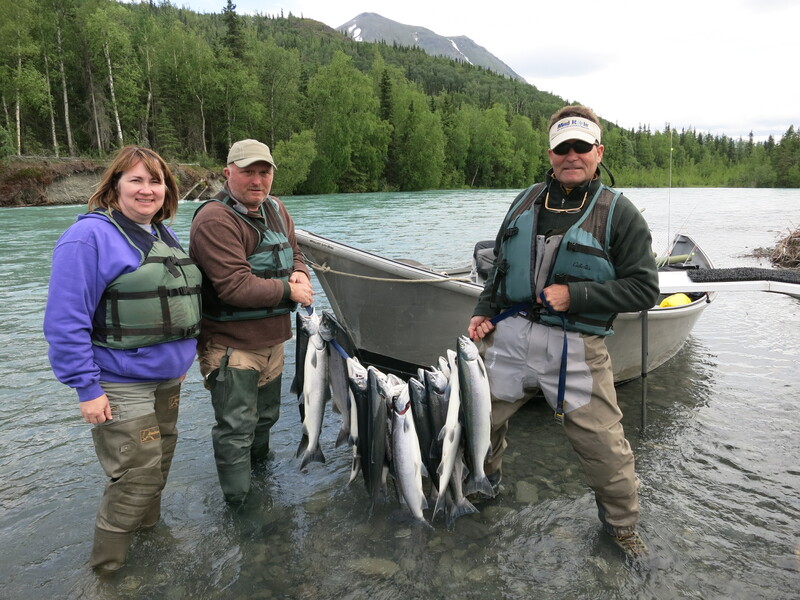 Last year we saw a little over 1,500,000 Sockeye come into the Kenai River during the second run and with luck we will hopefully see those numbers again. 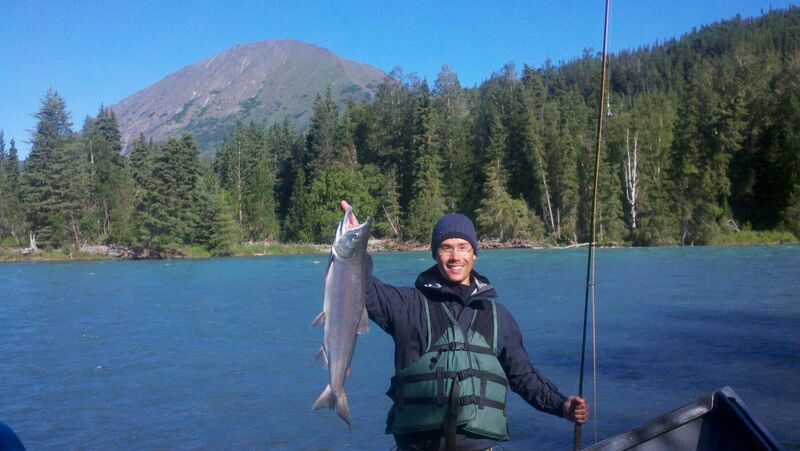 So now is the time to give us a call and we’ll get you out there swinging for some Sockeye! 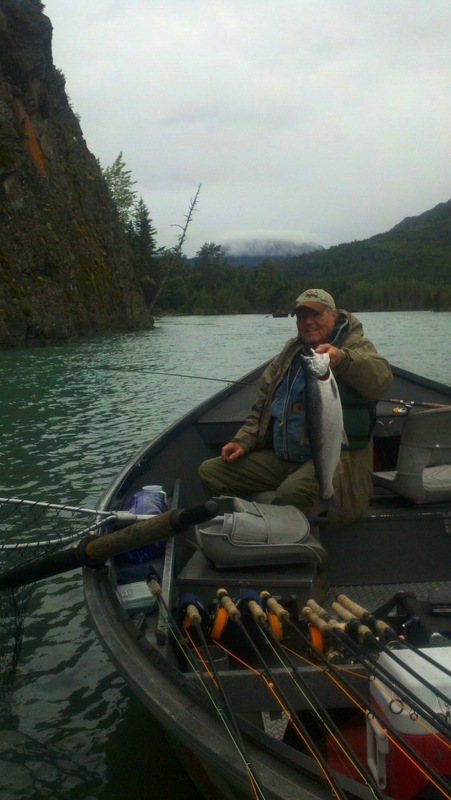 This entry was posted in River Report and tagged Alaska, Fish, Kenai, kenai river, rainbow trout, Salmon, Sockeye, Sockeye Salmon on July 10, 2013 by jenharpe.